Quite deep in colour with a restrained lightly nutty nose. The palate opens out with time to reveal a delightful mix of almonds, light peach fruits and honey. A wonderful subtle wine full of nuance. Don’t serve it too cold; the flaovurs are quite delicate. Not cheap, but worth it. Spaghetti or linguini with either prawns or crab sounds good. 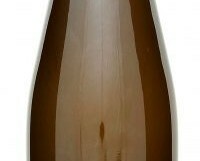 Pieropan is one of the greatest white wine producers in Italy. Nino Pieropan, who sadly passed away in April, can take much of the credit for rescuing the reputation of the Soave region, ruined by a flood of cheap nasty wines over several decades. Sons Dario and Andrea now run the estate, which is fully organic. The La Rocca vineyard is primarily limestone, unusual in a region dominated by basalt. The wine is aged in a mix of large old oak casks.